Join us for the best party in town!!! Amazing food made by the BC Culinary Team and great music by the March Hare Band! Bales of fun for everyone! 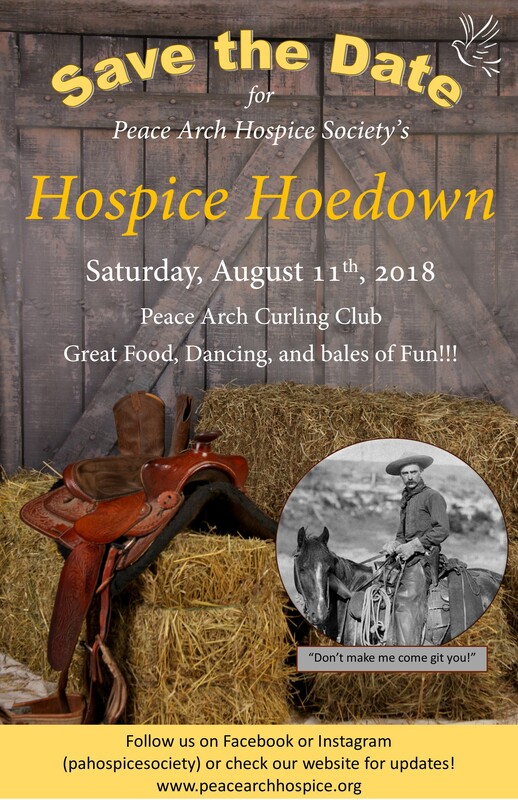 Save the Date for our Hospice Hoedown! Summer is a great time to get together with friends and have a real old-fashioned Hoedown! 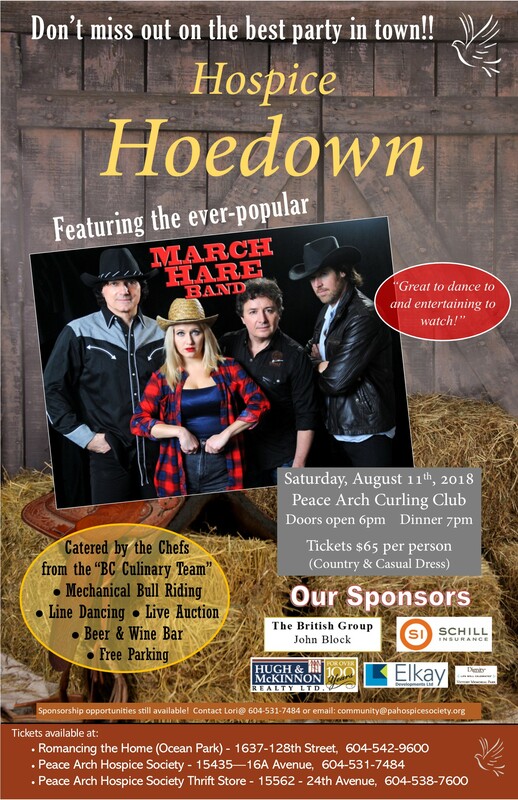 Save the date for our 2nd Annual Hospice Hoedown where you will be able to eat some great country cookin’ and dance the night away! Bales of fun for everyone! Stay tuned for more information closer to the date. Hike for Hospice – Register Online! Join our mailing list to receive news and events.